Ginger has been used since antiquity for keeping a healthy body. It has been used frequently during winter months to help fight colds and other maladies. On the streets of Bombay, vendors add copious amounts of Ginger to the Chai latte they prepare. The chai-wallah serves up steaming thimbles of tea to anxious waiting customers. The best way to make your ginger chai latte is to take some rich, full bodied Assam Chai (like QuikTea Ginger Tea bags) add them to a pot of boiling hot water, add some skim milk and let the mixture come to a full boil. Add sweetener as required and enjoy. This process is long and requires a bit a cleanup. 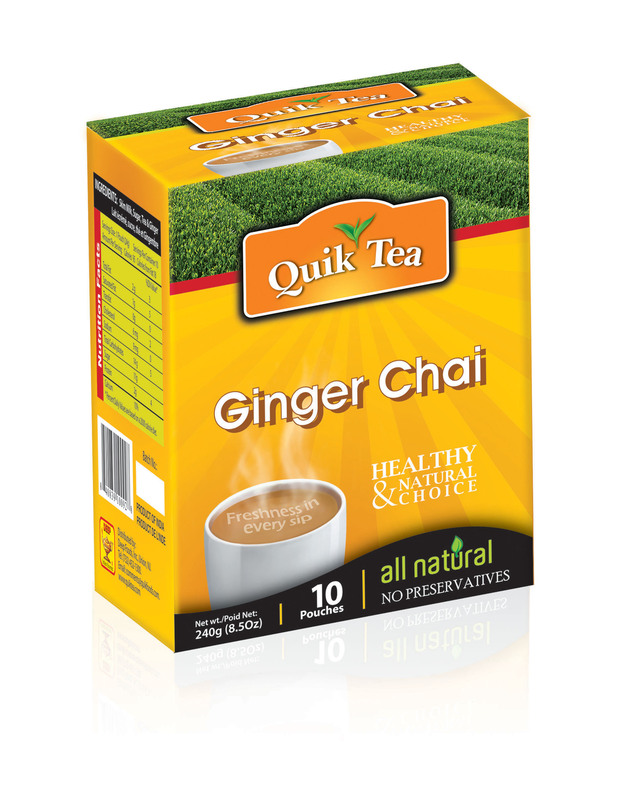 If you want your ginger chai latte without a lot to do, just purchase a QuikTea Ginger Chai Latte 1o pack, and empty a pouch into an 8Oz cup, add hot water and stir. Flavorful & strong, this Ginger Chai Latte is straight from the side streets of Bombay. Its perfect flavor will brighten up any day.